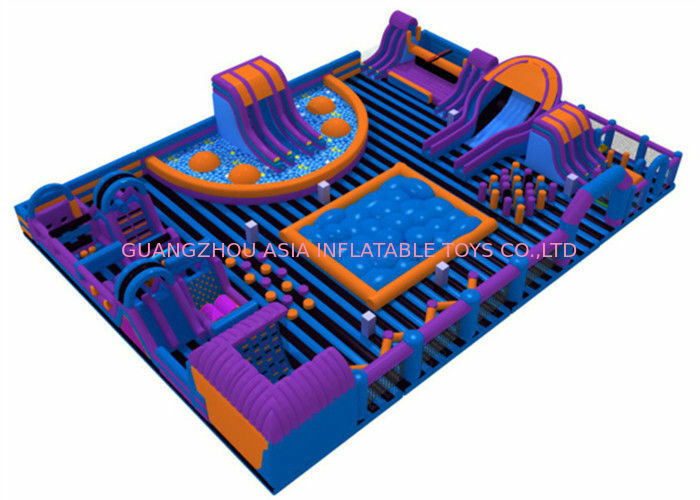 Inflatable theme park, is a giant blow up playing field for both kids and adults, it has a large bounce flooring and usually contains inflatable slides, climb walls, inflatable obstacles, inflatable cartoon characters, ball pits and other play features on it. Bounce house playground provides more fun than common commercial bounce house, and it allows more kids to play together. 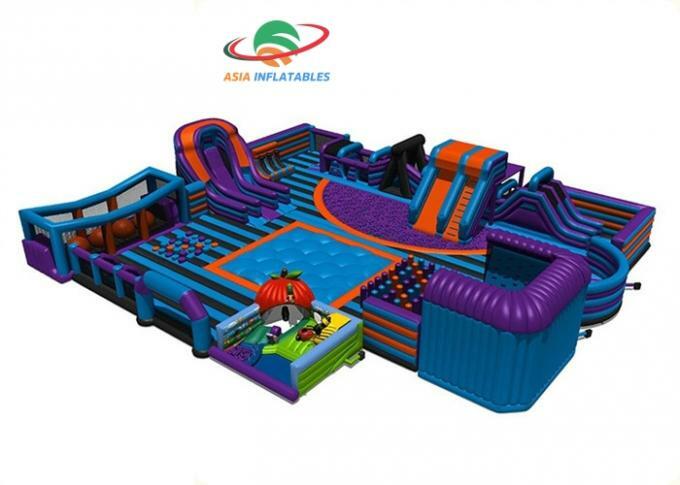 Asia Inflatable is a professional inflatable playground manufacturer and supplier in China, we can design any theme and feature for your own unit. Buy one from us for your next event or rental at a wholesale price. Workmanship: Double stitching everywhere, fourfold or quadruple stitching at bottom stress point. With 12 years’ experience in the inflatables industry and a team of experts in the design, build, installation and maintenance of inflatables , you can be sure that what you imagine will be what you get (within the realms of reality, of course!). 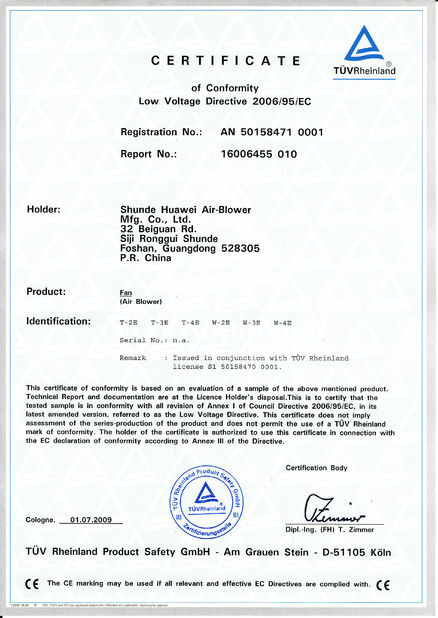 Everything we design and manufacture is built to the highest standard and where applicable is EN14960 compliant. We have design capability, manufacturing capacity, customer service infrastructure and on-site expertise to not only conceive, design and supply, but also maintain and take care of your inflatable place space. Commercial grade 0.55mm(1000D, 18 OZ) PVC tarpaulin (Plato) which has 3 layers : two PVC coated up and down with a strong net fabric inside, which is fire retardant, water-proof, Anti-UV, and anti-ruptured. 1) Double stitching inside and outside. 2) Quadruple stitching for the stress-bearing parts and the joint parts. 3) Nylon/pvc tarpaulin webbing reinforces for some parts. 4) Full-digital printing protected by a liquid protection film. 5) Enough zipper outlets to deflate the games quickly. 6) Reinforcements for zipper joints. 7) Zipper cover with to disperse the stress for zippers. All the items before delivery will test in factory for over 24 hours, our QC person will check all the details as different requirements. Q: Do you pay for the shipping or it is the customer who pays for the shipping? A: It is the customer who pays for the shipping. The prices in our catalog are only for our merchandise. We do, however, receive on average an 80% discount from the shipping companies we work with, which we pass on to our customers. 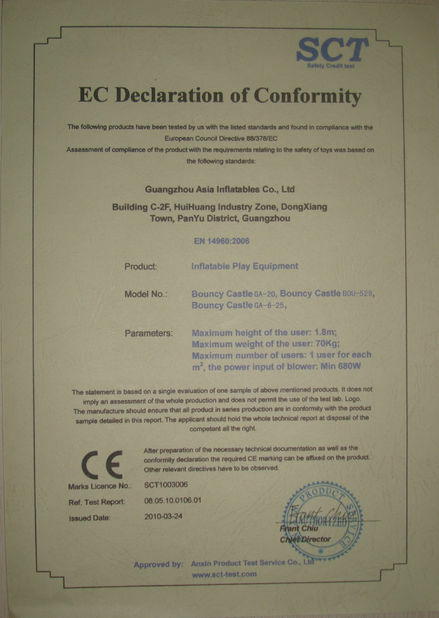 A: After production, our QC Team will check the product one by one. Only Strict Quality Control can bring us regular orders. Q: How long will it take to make any of these inflatables if they are not in stock. A: The regular bounce houses usually take 3-4 days, combos take 3-4 days, and much larger items like water slides and inflatable obstacle courses can take anywhere from 3-6 days. Custom made orders take about 6-10 days, depending on the style, size and structure. Q: How do you pack the inflatables? A: Plastic Film Innder Package and PVC/Carton Outside pacakage for carrying.